FGLI refers to first-generation, low-income, meaning, students who are the first in their families to go to college and/or who come from low-income households. 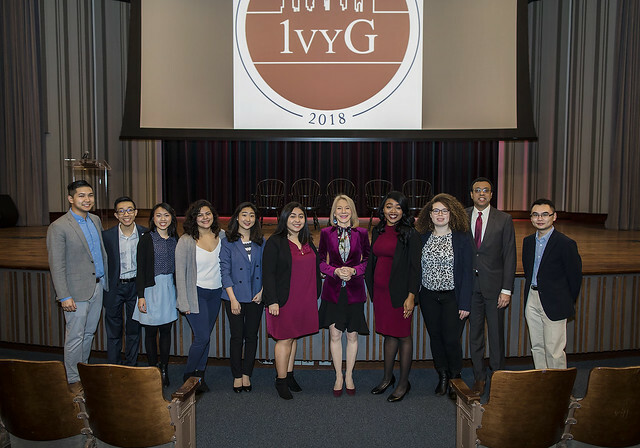 At Penn, students pronounce it "figly" and embrace the acronym by wearing FGLI Program buttons or decorating laptops with FGLI Program stickers. Penn First is a registered student organization dedicated to creating a campus community for FGLI students through social events, workshops, and advoacy. The First-Generation, Low-Income (FGLI) Program opened in in 2016 at the Greenfield Intercultural Center (GIC), part of the Division of the Vice Provost for University Life. The FGLI Program supports students' academic, personal, and social transition needs while facilitating community-building and a sense of belonging. Students, families, applicants, and others can find more information below about the FGLI Program and other campus resources and supports. Penn students who are first generation and/or low income may find themselves in need of emergency funds during their time on campus. The Division of the Vice Provost for University Life's Access and Retention Fund provides one-time Emergency Funds or Opportunity Grants to help low-income and/or first-generation students participate in experiences they otherwise cannot afford. Please click on the Emergency Funding link below to apply.